Here are the best places to find help for Muut IO. Muut IO is a platform for building realtime and social apps. It gives you the tools to use the powerful realtime event system, data access, and organizational system, and simple libraries to develop your own robust, scalable product. It’s a powerful API to integrate your backend — including your existing user database — into Muut IO. Built with social applications in mind, the concepts of users, threads, and the organization of those are built in. 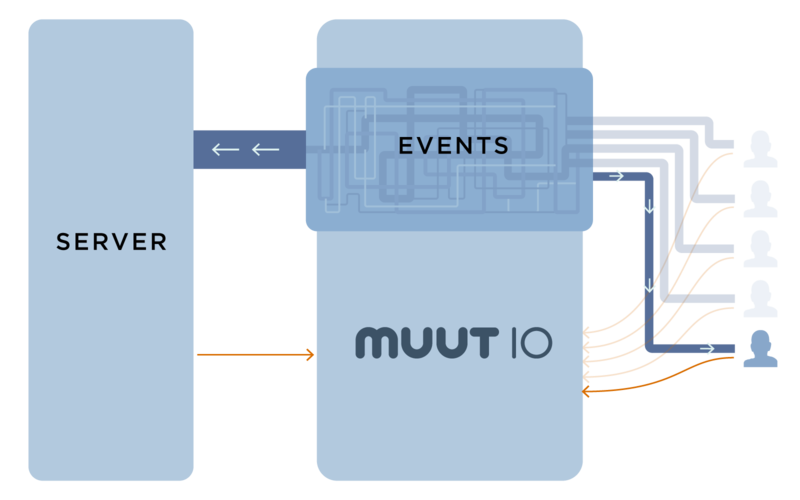 Muut IO is the whole system, storing and accessing data, events, user interactivity, etc.. No need to tie to together ten different tools to handle events, communities, users, storage, and data handling. No separate events, community, etc. it’s just a matter of leveraging a single system making development easier. With just a single client library you can access, publish, receive data and events. The API can interact with events, subscriptions, and users. We've been scaling our service to millions of communities and more than a billion realtime events every month. We've had to build a robust infrastructure that deals well with a broad range of edge cases — from content going viral and gathering millions of interactions over time to sudden, massive surges in traffic. Using Muut IO, you benefit from the years of work we’ve put into scaling and performance. Instead of building your own low-level database systems and solutions to recreate the wheel. You can benefit from the effort and development that went into supporting a massive toolkit and use it in ways that make sense for your application. Muut IO sits between your network, servers, and users taking care of the complexity of storing, routing, and sending events and data. It’s a data handling system that acts as a library to access, publish, and receive data to and from various sources. The events system/handling sits on top of muut IO to send data and realtime stuff to the users and to the server. A schema-less method to store a structured document of data along with any of your content. This same metadata can then be used to filter and sort your content. Work directly against our REST API with flexible authentication to work in both browser based and serverside integrations. Leverage our full Muut UX library and modify to fit your needs. Get your application live in mere days and extend Muut to fit your needs. This low level client library handles the heavy lifting of buiding a realtime Muut application for those times when you need something far more custom than our Muut.js library allows. An example to get you started with the Muut IO client.